This is an incredible value for your money! Lots of useful information and tips for beginners about the universe of Forex trading in one consolidated book! Forex trading is a popular way to generate extra income by trading on the foreign exchange stock market. It is, however, somewhat different from regular stock markets, so you must know what you are doing before embarking on this as a career or sideline. 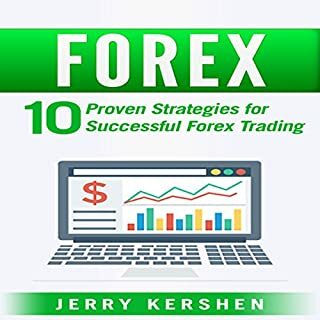 In this audiobook, Forex: 10 Proven Strategies for Successful Forex Trading, you will be given all the information you need to become a successful Forex trader. How to Trade Forex and Currency Markets: A Beginner's Guide to Professional Forex Trading is a practical and easy-to-follow workbook for people interested in forex (foreign exchange) trading. Geared for newcomers to currency trading, the audiobook takes its listeners through the fundamentals of the market and provides easily understood explanations of basic principles and terminology. 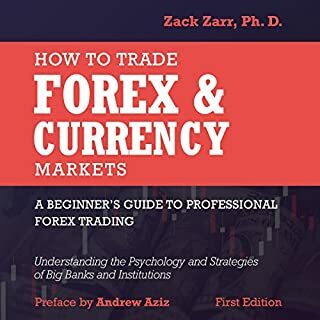 One feature that distinguishes Zack Zarr's book from other publications on forex trading is that it provides its readers with a novel way of gaining insight into market developments. There is no question that investing is a challenging business, but unlike those who dabble in the stock market, trading on the Forex Market comes with its own unique quirks and challenges. Throughout this book, you will learn a host of practical tips and guidelines that can help you to develop solid and practical habits that can propel you into a whole new kind of investment. Discover everything you ever wanted to know about the forex market and trading in the market. Get a week-by-week breakdown of things to do, as well as specifics to learn and actions to take to ensure your first successful trade. New traders are greedy and have unrealistic expectations; Rich traders are realistic about their returns. Follow the journey of New Trader as he learns just how challenging trading can be! Explore psychology, risk management, and methodology in this revised and updated, best-selling classic! Welcome, future professional trader! Are you ready to learn to trade like a real pro and start making serious money today? All over the world, people are looking for an alternative source of income to lead a stable life. Trading is an art. If you want to become a professional Forex trader, then you need to devote yourself to the financial industry. Get ready to master real trading skills! 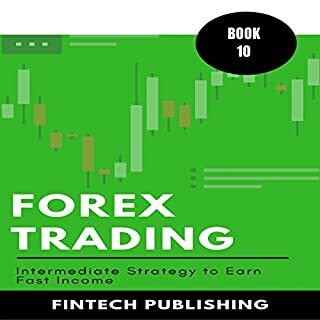 Forex Trading: Proven Strategies for Maximum Profit is a guide to help you understand the foreign exchange market and to show you how traders make profits. You are not going to find personal stories of success in this audiobook. Instead, you will find detailed information on the forex market and how to use it to your advantage. 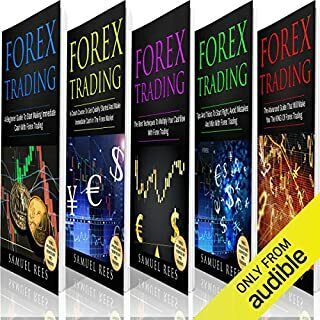 At the end of this audiobook, you will know more about forex trading, easy patterns, and become a successful trader. Beginner Forex Trading Made Easy will teach you the ins and outs of trading foreign currencies. Whether you are looking for a way to leave your office job or simply to increase your income, this book is for you. This book is a handy manual that will teach you everything that you need to learn about forex. Learn how to trade foreign currencies successfully and make continuous profits. With $5 trillion traded every day, FX dwarfs all other markets. It's a tough market to master - but not as tough as people think. Currency Kings provides the keys anyone can use to unlock the enormous potential of FX. FX guru Ben Robson walks you through the process of 1) developing a sound strategy, 2) creating a competitive edge, 3) scaling your efforts, and 4) managing risk. It's a simple, commonsense approach. And it works incredibly well. Whether you are looking for a way to leave your office job or simply to increase your income, this book is for you. Forex Trading: Beginner Forex Trading Made Easy is a handy manual that will teach you everything that you need to learn about forex. Learn how to trade foreign currencies successfully and make continuous profits. Anyone who is looking to improve their position financially knows that they won't make it happen at a 9-5 job; investing is the way to go. So, if you're going to invest, why not get your feet wet in the busiest financial market in the world? With the advice included in this book, you can reach out and get a piece of that $5.3 trillion-a-day trade. There is no question that trading can be risky business, but you can gain your confidence by practicing the many tips and guidelines provided within this book. It's time for you to take Forex trading by the bull's horns and become a true master of the game. 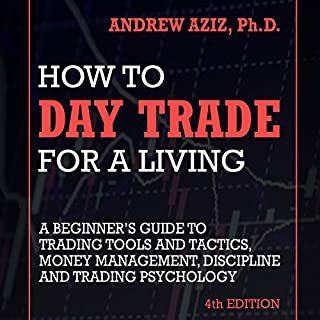 This book is filled with practical guidelines that can literally take your trade to the next level. Maybe you've decided to try trading for the fun and excitement of the game, or maybe you're just interested in a faster way to amass more wealth. Whatever your reasons, the answers you seek are here in this book. So, if you're ready to move on to the next level in Forex trading, then join us. Together we can open up a whole new world. I have never seen an author so attentive to his readers. He is a great mentor in FOREX. I highly recommend Micheal's books. The book was a very good refresher along with worthwhile new info. Has created new interest in Forex and its challenges. There are a lot of approaches for this kind of job, fantastic and also extremely opportunistic, you just need enough commitment and You are on the right way. Wow! it is indeed loaded with useful information about the stock market and how to get started in forex trading. I always wanted to enter this kind of investing and surely this book will help me get things done properly. An amazing read with tons of useful information to learn! All in all, it's a good book, but don't expect to be impressed. This is really worth recommending! There's a great deal to consider when choosing which sort of trading to seek after, so this book will give you the tool you have to settle on an educated choice. Here are a portion of the subjects that will be canvassed in this nitty gritty guide. When you're finished with this book, you'll feel prepared to progress into Forex and begin earning your own money! Good starting point, short and sweet. Haven't actually done any trading yet, but looking forward to it. Thanks a lot. I would like to recommend this book to any person that is new to Forex trading and they need a basic understanding of how this works. Love this book. I've been in finance for many years but trading is a new venture for me. this book confirms everything I've known about trading and is a good guide for beginners. It sets a path, a foundation, to build on. This book is really a great resource for those who want to learn more about FOREX TRADING. The book is worthy of attention! This is an excellent book set on FOREX TRADING. All of the things, tips, and guides that I need to know about multiplying your cash flow are already included and well written inside. Impressive book! This is a very well-written, professionally laid out and edited guide for anyone interested in robot Forex trading. 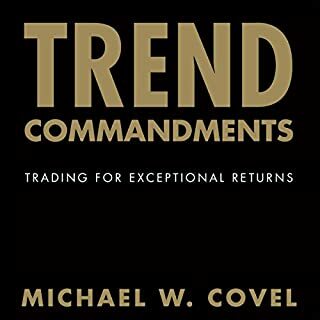 The advice is sound and the author backs up his theories with charts and the technical underpinnings of his trading principles. Really worth recommending to all! Forex trading is a complex system. This is an excellent first book for those interested in currency trading. 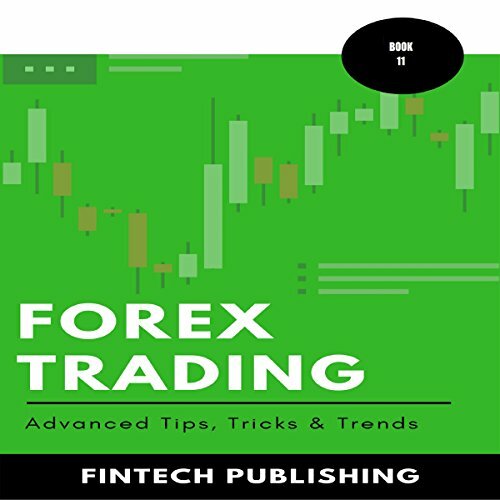 This was my first foray into the subject and the authors do a great job with explaining the fundamentals of the Forex market and trading currencies. If you are being interested in trading on FOREX, this book is definitely a great position to start with.